A landmark in efforts to secure a Jewish state. Holy to both Jews and Muslims, this area in Jerusalem's Old City has been a focal point of inter-religious tension for decades. The unusual circumstances of Rabin's marriage, his true feelings about Moshe Dayan, and other lesser-known facts about the legendary Israeli leader. Though he died decades before the State of Israel's establishment, he is considered the country's founding father. During the interwar period, the two populations struggled to lay claim to the land. A history of Jerusalem since Israel's establishment. What went wrong between the Israelis and Palestinians? 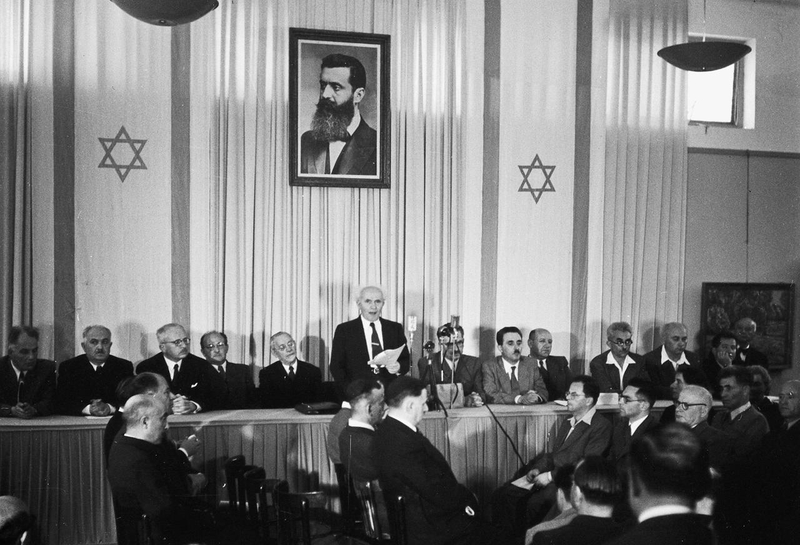 The first prime minister of the Jewish state.